A-KEEP is proud to partner with a select group of businesses and individuals to realize our mission of educational and economic prosperity in throughout Alabama. These relationships provide critical financial support, generous in-kind gifts and volunteerism that enables us to continue the services and programs we offer. We welcome sustainable, mutually beneficial partnerships. We invite you to explore A-KEEP’s current partnerships and to learn more about opportunities to partner with us. The Alabama Council on Developmental Disabilities (ACDD) has a mission to support independence, advocacy, productivity and inclusion for Alabamians with developmental disabilities. ACDD is dedicated to the vision that all Alabamians, regardless of disability, will live, learn, work and play in inclusive communities. As a result of the Council's projects and initiatives, individuals and families have experienced more access to the many spheres of human life. The Alabama Council on Developmental Disabilities is enthusiastic about this progress and is eager to see what the future will hold for people with developmental disabilities as the Council continues to advocate for equality of opportunity for all of Alabama's citizens. 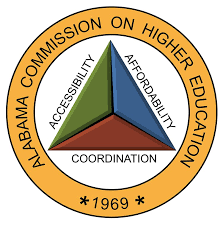 The Alabama Commission on Higher Education is the state agency responsible for the overall statewide planning and coordination of higher education in Alabama, the administration of various student aid programs, and the performance of designated regulatory functions. The Commission seeks to provide reasonable access to quality collegiate and university education for the citizens of Alabama. The agency also provides a state-level framework for institutions to respond cooperatively and individually to the needs of the citizens of the State. 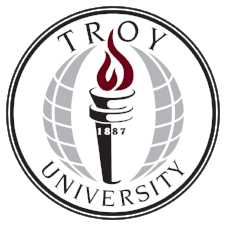 Troy University’s Montgomery Campus is conveniently located in the heart of downtown Montgomery, Alabama and includes unique facilities like the Rosa Parks Library and the Rosa Parks Museum, the Davis Theatre for the Performing Arts and the W.A. Gayle Planetarium. Our outstanding Montgomery faculty and staff are dedicated primarily to serving the “nontraditional” student, who is often a working adult. We do this by providing the widest variety of learning options, including an incredible number of degree programs, 29 in all, that can be completed by attending evening classes. Weekend, TV, online and blended classes are also available, allowing our students to learn when and how it’s best for them. The Alabama State Council on the Arts is the official state arts agency of Alabama. The staff of the Council, directed by Al Head, administers the grants program and provides financial assistance in arts education and programming. Established by Congress in 1965, the NEA is the independent federal agency whose funding and support gives Americans the opportunity to participate in the arts, exercise their imaginations and develop their creative capacities. Through partnerships with state arts agencies, local leaders, other federal agencies and the philanthropic sector, the NEA supports arts learning, affirms and celebrates America’s rich and diverse cultural heritage, and extends its work to promote equal access to the arts in every community across America. Visit arts.gov to learn more about NEA. For over 40 years, the Hodges family has been providing insightful real-estate services in the South. Whether commercial real estate, warehouse space or the development and sale of residential real estate, Hodges has delivered exceptional personal services and the best available resources in the industry. 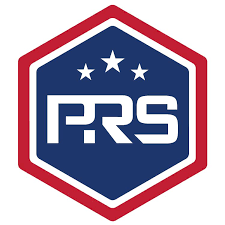 We are dedicated to providing the very best service in the sale or purchase of property, as well as, strategic logistics and warehousing services. Korean Education centers have been established in various cities globally, and finally the Korean Ministry of Education established the center in Atlanta in 2017. The center has been supporting approximately 150 Korean Community schools to promote education in the Korean language, history, and culture in six southeastern states: Georgia, Alabama, Florida, North Carolina, South Carolina, and Tennessee, and the U.S. Virgin Islands and Puerto Rico within a short period time. The center’s passion lies in educating our future generations in order for them to realize their identity as Koreans and to be an important part of the global society. The center not only supports Korean Community schools, but also provides Korean language and culture programs on location for adults and coordinate various government programs such as English teaching programs (TaLK and EPIK) and the Korean proficiency exam (TOPIK). Following major renovations, Historic Downtown Opelika is enjoying a return to the center of life in Opelika. The shopping and restaurant district has been improved with a turn of the 20th century flair. Opelika is filled with a variety of specialty shops, galleries, antique stores and restaurants. Wanting to keep up with future technology for businesses and homes, Opelika invested in the fiber optic system and became Alabama’s first “Gig City” which means it has one of the most advanced, high-tech 100% fiber optic systems in the world! With the new fiber optic network, Opelika can now offer a complete package of home technology. There is almost no limit to what can be done with fiber technology. Power, video, voice and data services – working together with the convenience of one provider. Mission: To create a culture of intellectual curiosity where all students have ownership over their learning and are inspired to think, innovate, and create. Vision: Our students are lifelong learners who use their knowledge, skills, and influence to make the world a better place. Through the generosity of our sponsors, we are able to make impactful change for students, professionals and individuals throughout Alabama. Your gift allows us to improve our community by promoting cultural diversity initiatives, provide one-of-a-kind educational programs, strengthen workforce development and sustain youth-led projects being conducted in our community. Our leadership training provides a deeper understanding of Korean and American cultures and history to bridge differences between individuals, institutions and corporations for economic prosperity. We’ve made history by organizing the first Korean as a Second Language (KSL) program for public and private schools in Alabama. We’re using Korea as an example for other organizations to see the benefits that can come from international partnerships, mutual understanding and community inclusion. To learn more about opportunities for partnership with the Alabama-Korea Education and Economic Partnership, contact Amoree Brackins at amoree.brackins@akeep.org.